Testosterole Herbal Libido Complex - This new aphrodisiac is composed of an exclusive combination of exotic herbal extracts and the latest in cutting-edge testosterone male hormone boosters. Low testosterone levels in the body are responsible for reduced sexual desire and ability, lack of energy, and lack of stamina. Testosterole Herbal Libido Complex is a highly effective sexual enhancement alternative to prescription drugs like Viagra. This powerful blend of herbs and potency extracts is designed to significantly improve the male hormone system by increasing the male hormone testosterone in your body. There is also increased energy levels, in addition to increased sexual enhancement, increased virility and stamina, longer endurance while engaging in physical activities. Testosterole Herbal Libido Complex contains high quality raw materials, well known for producing sexual enhancements are being used in this highly effective Libido formula. Directions: Take 2 capsules daily as a dietary supplement. 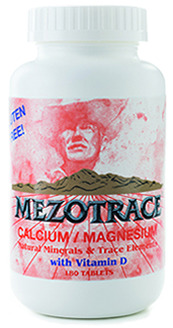 Ingredients: 2 Capsules supply: Niacin (B3) 45 mg 225%, Zinc as zinc oxide 10 mg, Propietary Blend As Follows: 847 mg: Horny Goat Epimedium sagitatum (weed) (standardized to 10% total icariins), Maca Lepidium meyenii (root), Guarana Paulinia cupana (seed) (standardized to 22% caffeine), Korean Ginseng (root), L-Arginine, Muira Puama Ptychopetaium olacoides (herb), Longjack Extract Eurycoma longifolio (herb), Avena Sativa Extract, Orchic Powder, Yohimbe Pausinystalia yohimbe (bark) (standardized to 6% yohimbe), Ginkgo Biloba (leaf), Saw Palmetto Serena repens (fruit), Xanthoparmelia Scabrosa, Cnidium Monnieri, Gaba Gamma amino butyric acid, Royal Jelly, Damiana Turnera diffusa (leaf). Warning: Keep out of reach of children. Not for use by persons under the age of 18. This product is not to be taken by pregnant or lactating women. If you are taking medication or have a medical condition, consult a physician before using this product. Not intended for use by those with a medical condition. Use only as directed. Do not exceed the recommended daily intake.